Paris, France-based rockers Blackrain have released their new full-length, ‘Released,’ via UDR. The band has teamed up with Antihero Magazine to premiere their new song and music video, “Killing Me.” Check it out below and let us know what you think in the comments! For more on BLACKRAIN, follow them on Twitter and Facebook. 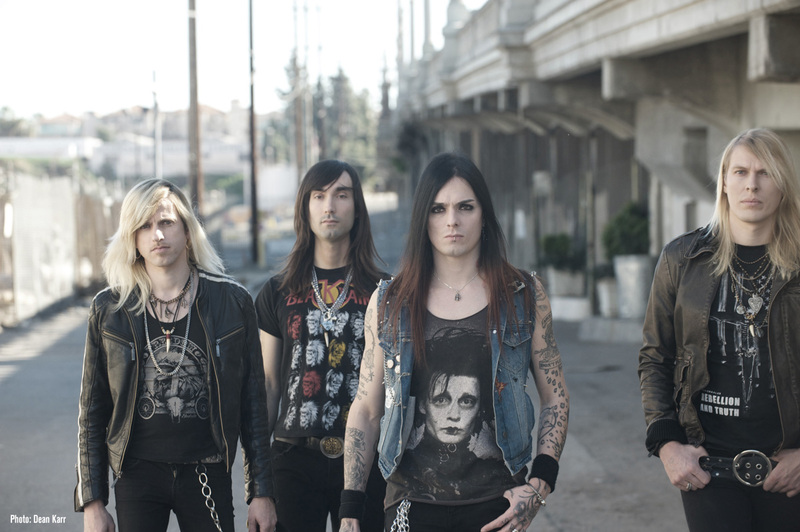 You can check out our interview with BLACKRAIN here! There’s a good reason why their cover of AC/DC anthem “It’s a Long Way To The Top (if You Wanna Rock’n’Roll)” is part of many of BlackRain’s live shows. Having formed during 2006 in the French Alps and with four self-produced albums under their belts (not to mention numerous gigs in France, Europe and Japan) this charismatic quartet know for a fact that 2016 is undoubtedly the most important year of their career to date. Free from past commitments, they now feel it’s time to “escape” to new horizons and have aptly titled their new offering “Released”. During 10 long years spent in learning the tortuous ways of Rock ‘n’ Roll, the band met many people who would become instrumental in the band’s career: Frank, their so precious drummer; legendary bands like Europe, Papa Roach, Alice Cooper, Scorpions, Steel Panther, Kissin’ Dynamite and Crash Diet, all of whom they played with; the team of the “New Talent” French national TV show, where they delivered memorable live performances to an audience of several million, and famous photographer Dean Karr responsible for the new band’s photos. Last but not least, BlackRain found American producer Jack Douglas (Aerosmith, Cheap Trick, Alice Cooper, The New York Dolls and John Lennon) a true music “legend” who provided his great expertise in the making of “Released” and the band’s previous album “It Begins”. It’s rare to hear of a renowned US producer working with a bunch of “Frenchies” or a “big label” such as UDR Music signing a French rock act, and to be in such a place today, BlackRain (then featuring the 3 original members: Swan, Max 2 and Matthieu) worked unbelievably hard, taking any and every opportunity they could find, also relocating to Paris where they could dedicate themselves to music full time. “Released” is the coming together and expression of all that work, all those years plus all the lessons and experiences absorbed. Recorded in the suburbs of both Paris and Los Angeles in the early part of 2015, “Released” is the result of many months of collaboration between BlackRain and Jack who, prior to recording, spent weeks listening and analyzing tons of demos in order to come up with the best songs and create the best arrangements, applying his magic touch to the whole process. Warren Huart, Aerosmith’s sound engineer, along with Jack, mixed the tracks at the Spitfire Studio in Laurel Canyon.